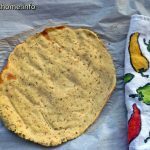 This Paleo pizza crust is so simple and tasty – just waiting for your creative toppings to be added! Grant and I used to make an awesome pizza crust. And with sun-dried tomatoes, Hungarian salami, spinach and cream cheese, our pizzas were to die for. But that was pre-gluten free days. And I haven’t been able to find a recipe that works as well as those used to. Yes, we’ve tried the cauliflower pizza crust and it works ok as a carrier of pizza toppings, but it’s not quite the same. But I have good news for you all. I think I’ve discovered the answer to all our pizza crust issues …. This is a Paleo pizza crust (i.e. gluten and dairy-free), that works well, both as a normal flat pizza, as well as the Chicago-style deep dish pizza. Depending on how you cook it, the base can be crispy to hold up in your hands, or a little bit bendy, requiring a knife and fork to eat it. But the flavorings in it really give it character. And this is where you can go nuts with your own herbs and spices! My go-to for the crust is a blend of Italian herbs, garlic and onion powder, but I’ve also tried it with the Pranayums spice blend, turmeric and curry powder, and it always goes down a treat. And leftovers? Of course, they are perfectly suitable for breakfast the next day. Or the following day. 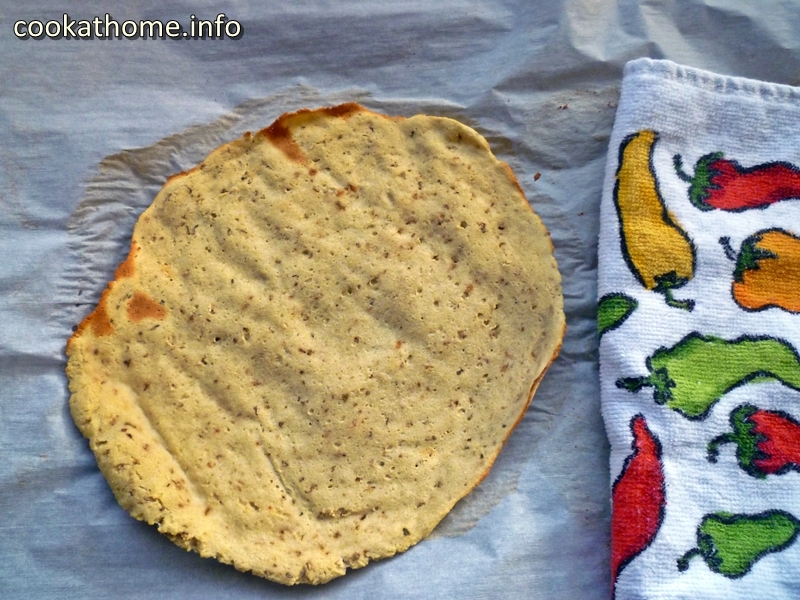 Give it a go if you’re looking for a Paleo pizza crust, or if you’re just wanting to be adventurous! Preheat the oven to 375F and prepare a round (or rectangular) baking pan with parchment paper. Whisk together eggs and milk in a medium-sized bowl. Add the coconut flour, spices and baking soda into the egg mixture and combine well. Use a spatula to spread the dough into either a circle or a rectangular-shape, about ½” thin. Remove from oven, add desired toppings and bake for an additional 8-10 minutes (depending on the ingredients). If wanting to use a pizza stone, pre-bake the crust as above before transferring to the stone and putting toppings for an additional 8-10 minutes.